Cute and original easy care beach house. Property 3: Cute and original easy care beach house. Stunning NEW property close to beach, views to Mount, spa and all the mod cons. Property 12: Stunning NEW property close to beach, views to Mount, spa and all the mod cons. 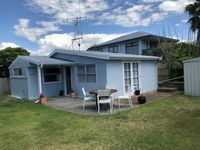 Superb beachside house, spot the surf rolling in..
Property 15: Superb beachside house, spot the surf rolling in..
A hidden Beach Getaway with everything you need! Property 24: A hidden Beach Getaway with everything you need! Property 44: Contemporary Bungalow - ideal for families! Aims Games Accomodation, Central Mt Maunganui. 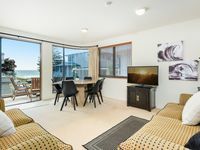 Property 45: Aims Games Accomodation, Central Mt Maunganui. This little bach was perfect for us as a couple with a teenager. There was plenty of room inside and a nice lawn area outside that was immaculatley maintained. Everything we needed was supplied. Easy to fine and very close to the supermarket and the Mount itself. Thanks so much, we will be back. Great space right near the beach. Nice &amp; clean with plenty of room. Lovely location.